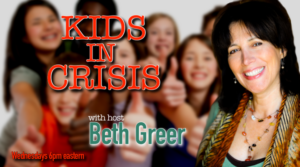 In this Kids in Crisis Show 24, host Beth Greer interviews Jeffrey Smith, leading spokesperson on the dangers of GMOs on children’s health. 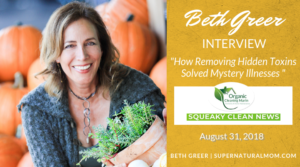 What if you discovered that by eliminating foods that are genetically modified and switched to eating all organic food, you could actually reverse things like ADHD, Autism, and allergies? Jeffrey Smith is an internationally-renowned expert and consultant to world leaders on the health dangers of GMOs (Genetically Modified Organisms). 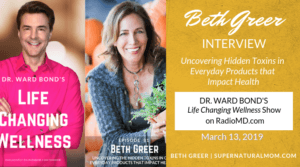 He is the founder of the Institute for Responsible Technology and The Campaign for Healthier Eating, a revolutionary movement to remove GMOs from the US food supply. 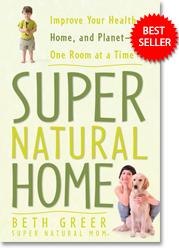 Smith is also the bestselling author of Seeds of Deception: Exposing Industry and Government Lies About the Safety of the Genetically Engineered Foods You’re Eating and filmmaker of the award-winning documentary Genetic Roulette-The Gamble of Our Lives” which has been seen by millions world-wide. Jeffrey is just finishing up his next film called Secret Ingredients. His co-director and co-producer, Amy Hart, also joined us on the show. Amy is an award-winning filmmaker and photographer dedicated to shedding light on important global health issues since 2002. She directed and produced an award-winning film on global water issues entitled Water First, and several award winning specials on Chronic Diseases. What exactly are GMOs…how are they made? When did GMOs get introduced into our food supply? The known health risks of GMO’s, including their link to toxic and allergic reactions, infertility, digestive disorders, and numerous problems that have been on the rise in the US population since (GMOs) were introduced. Is there any epidemiological evidence of a correlation? What is conventional medicine saying? The health dangers of Monsanto’s Round Up? What is Glyphosate and why is it so dangerous? Why is it critical to stop eating wheat? What are the reactions of people who stop eating GMO’s? What are the reactions of livestock and pets? Are there any SAFE GMOs? What’s happening with labeling laws in the US? Are GMOs allowed in Europe? What advice do you have for parents from the get-go (prenatal on)? About the new film Secret Ingredients and how people can get involved? 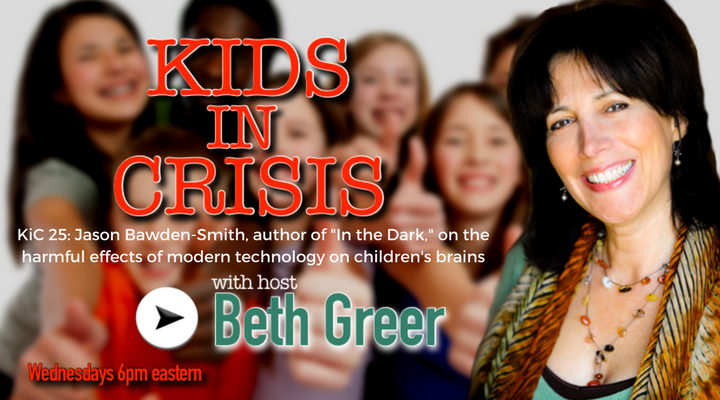 To get more Kids in Crisis content sent directly to your device as they become available, you can subscribe on iTunes!